After reaching Delhi airport or railway station, you will get an assisted transfer to your pre-booked hotel. The day is at leisure and you can do the activities of your interest. You can visit the city s well-known attractions, can gorge on the street food or can shop at the popular markets. Stay overnight. Post breakfast; get an on-time transfer to the airport to board a flight to Bhubaneswar. Once you arrive, complete the check-in formalities at your hotel. 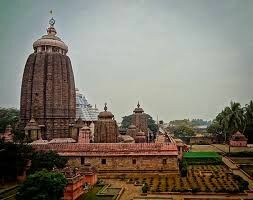 Have your lunch and leave for exploring the popular temples of Bhubaneswar including the popular Lingaraj temple. Overnight stay in Bhubaneshwar. After having your breakfast on the third, you will set-off by road for Puri. On the way, you are going to at the Pipli Village, popular for beautiful Applique handicrafts. Later, visit the world-renowned Konark sun temple, also known as the Black Pagoda. This ancient temple, built during the 11th century is dedicated to Sun God. Once you reach Purim check-in to your hotel. Afterwards, relax at the beach. Stay Overnight. The morning of the 4th day is for Darshan at the Jagannath temple, dedicated to Lord Jagannath. In the afternoon, after lunch, you will hit the road to go to Bhubaneswar. On reaching, check in at your hotel, after which you can enjoy fun activities at the beach. Stay Overnight. Have your breakfast and get transferred to the airport to board a flight to Kolkata. Once you reach Kolkata, complete the check-in formalities at your pre-booked hotel. The day after lunch, the day is free for activities of your interest. You can explore the market, can eat the street food or can explore the surroundings on foot. Stay overnight in Kolkata. 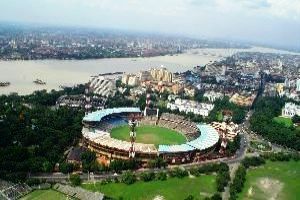 Post- breakfast, the 6th day of the tour is for the city tour of Kolkata that is going to include Victoria Memorial Hall, Howrah Bridge and Dakshineswar Kali Temple. 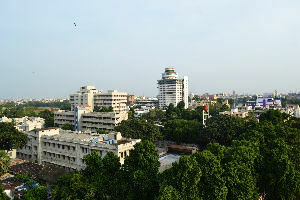 Stay overnight in Kolkata. The  city of joy has a lot to offer to its tourists. Day 7 is going to be action-packed and an interesting one. Have your breakfast and venture out of your room to explore the remaining attractions. Today, you can visit Kali ghat, Maidan, Town Hall, Edan gardens etc. Overnight stay. After breakfast, spend the morning in leisure activities. In the afternoon, you will get transferred to the airport to board a flight for Patna. Upon arrival in Patna, move to your hotel. If time and energy permits, you can explore the surroundings on foot. Stay Overnight. On the 9th day of the tour, have your breakfast and move out of your room to visit Gol Ghar and the popular temples of Patna such as Har Mandir Saheb, Patliputra Teerth, Choti Patan Devi temple etc. Stay overnight. Day 10, after breakfast is free for exploring the other attractions of the city that may include the Patna Museum, Mahavir Mandir, Agam Kuan, Patna Planetarium etc. Overnight stay in Patna. Once you have your breakfast, spend the morning in doing the activities of your interest. Afterwards, get an on-time transfer to the airport to board a flight to Delhi. On arriving, get transferred to your Hotel. The afternoon is for sightseeing of Delhi such as Red Fort, India gate etc. Stay overnight. Once you have your breakfast, begin driving towards Mathura  this is the place where Shri Krishna was born as well as spent his youth. Every nook and corner of this small is reminiscent of Krishna s charm and antics. Visit the well-known spots here such as Dwarkadhish temple, Mahavidya Kund. 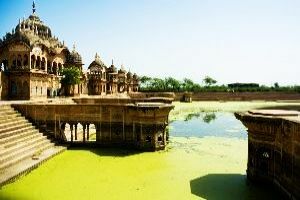 Later, proceed to Vrindavan- the place where Lord Krishna spent his the most eventful years of his life. There are uncountable spots here that describe the life and times of Krishna even today. Visit the Banke Bihari temple and ISKCON temple. Overnight in Mathura. Have your breakfast and begin driving towards Delhi, On reaching, complete the check-in formalities at your Hotel. Spend the day in doing the activities of your interest. You can do anything you want to. Overnight stay in Delhi. Today, you will get transferred to Rishikesh by road after having breakfast. 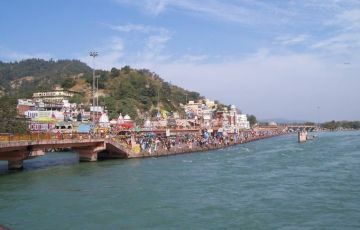 On the way, you are going to stop at Haridwar. Take a dip in the holy water of river Ganga at Har-ki-Paudi. Later, you can visit the major temples including Bharat Mata Mandir. Proceed to Rishikesh. On reaching, check into your hotel. In the evening, attend the mesmerizing aarti on the ghats of Ganges at Parmarth Ashram. Stay overnight in the hotel. On the 15th day of your tour, visit Devprayag to do the Sangam Puja Ceremony. Return to Rishikesh to visit the temples and ashrams. Back to Haridwar. Attend the extremely popular aarti ceremony at Har-ki-paudi. Overnight in Haridwar. Have your breakfast and hit the road to go to Delhi. On arrival, complete the check- in formalities at your hotel. The evening is free. Indulge in activities of your interest, enjoy the lip-smacking street food or shop around the markets of Delhi for souvenirs. Stay overnight. After breakfast, check out of your room. Enjoy sightseeing of Delhi s temples such as Akshardham temple, Laxmi Narayan Temple, Chatarpur Temple along with Qutab Minar and Humayun Tomb. Post dinner, get an assisted transfer to the railway station or the airport to board a train or flight for your onward destination.